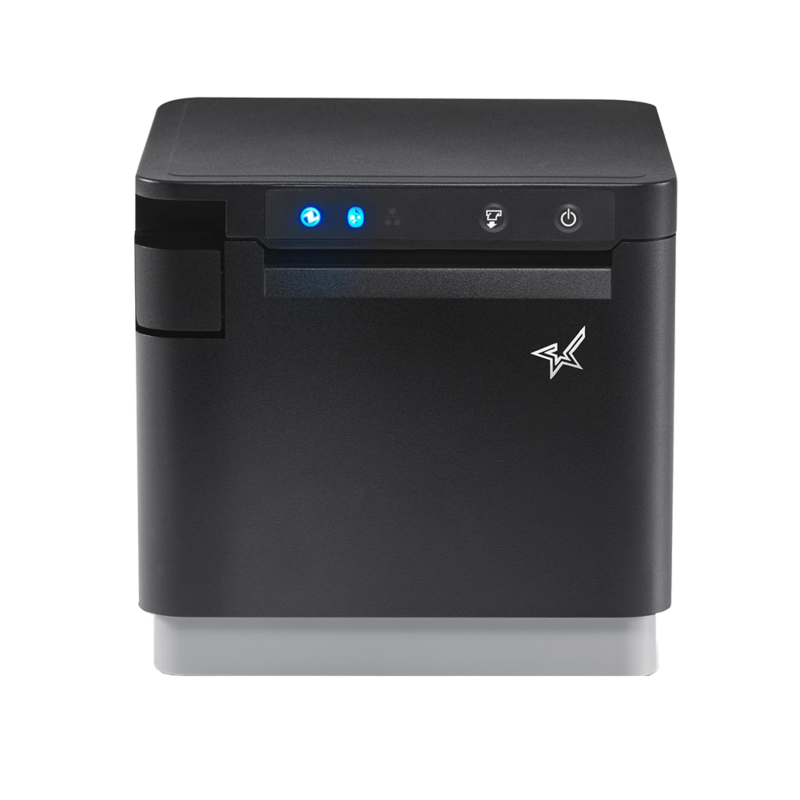 The super-compact, front-feed receipt printers offer high quality printing and exceptional functionality with up to 5 interfaces as well as hub functionality, controlling select USB peripherals attached to the printer including Cash Drawer, Scanner and Customer Display. The mC-Print3 is a compact, versatile 80mm receipt printer ideal for businesses operating traditional PC POS systems as well as those migrating to tablet and web-based POS. With front feed and front paper loading and an IPX2 rated splash proof design, the mC-Print3 also ticks all the boxes for today’s expectations in kitchens, bars and other demanding hospitality environments. Ideal for both traditional and tablet POS, the mC-Print3 is a compact 132 x 140 x 125mm with front feed and front paper loading for high quality 80mm receipts, barcodes and graphics. The mC-Print3 also offers significant paper saving with a top margin of just 2mm. Its stylish cube design includes a “protected” control board, soft operating switches and IPX2 splash proof rating ideal for demanding hospitality environments and space-conscious retail outlets alike. The mC-Print3 is even Star Cloud Services Ready with Digital Receipting and Internet Device Management already on board. Star’s unique iOS Lightning cable port provides device charging as well as direct cable data transfer between Apple iOS devices and the printer. This simplifies set-up by eliminating the need for pairing and passwords whilst using only one mains socket for printing, peripherals and tablet charging.